At 14.71 square miles, nearly 39,000 people call Coppell home, yet is retains a small town atmosphere. Excellent city services, outstanding parks and facilities, safe neighborhoods, strong churches, and exemplary schools all provide for a quality lifestyle and a sense of community. Money Magazine recently named Coppell as the 8th Best Place to Live and the 2nd Best Place to Be a Kid! Wallet Hub named Coppell as the Best Place to Find a Job! The Coppell Farmers Market is considered one of the best, unique small markets in the Dallas Fort Worth Metroplex. Started in the summer of 2003, the market is located in Old Town Coppell at 793 S. Coppell Rd. and is open weekly April through Thanksgiving each Saturday, 8 a.m. to noon. The market has grown from a handful of vendors to more than thirty with a wide selection of seasonal fruits and vegetables, natural meats, and much more. More than a thousand customers stroll through the Coppell Farmers Market on any given Saturday to find local, healthy food, develop a relationship with those providing their food, meet up with friends and neighbors, and be a part of the local food movement. The Coppell Farmers Market now offers winter weekend dates, one of the few markets in the DFW area to continue providing fresh produce year-round. New to Coppell is something “old.” In 2003, the Coppell City Council initiated architects to involve local businesses and residents in planning of the area known as old Coppell. The resulting Historical Overlay Zoning District was created to preserve and promote development reflecting early Texas architecture. After much work and tireless planning, the vision of a community park surrounded by commercial and residential development is unfolding. The 22-acre site is ideally situated at the intersection of Coppell and Bethel Road, the center of the historic district. In 2014, Coppell will turn to Mother Nature for educational opportunities. The newly opened Biodiversity Education Center at the Coppell Nature Park is nestled on 66 acres of nature preserve in Wagon Wheel Park, 345 Freeport Parkway. This sustainable facility inspires passion for the environment and promotes community involvement where people of all ages can explore, learn, share, and celebrate nature. Coppell has a variety of livable neighborhoods. High-quality, well-maintained neighborhood infrastructure includes sidewalks, streets, alleys, utilities and fences. State-of-the-art technology infrastructure serves every neighborhood. A range of diverse housing choices for all generations is available in Coppell. Homes and buildings meet current codes and community standards with appropriate enforcement when necessary. Single-family homes have a high percentage of occupant ownership. Neighbors are involved, know each other and help each other. 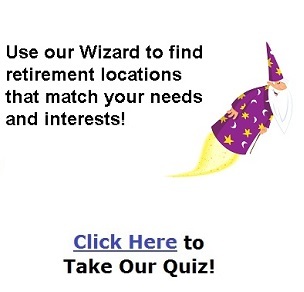 Residents have opportunities to live where they work and work where they live. Coppell is a community of spiritual strength with respect for differing personal beliefs. The faith community works in cooperation with local organizations and governmental institutions. Our residents support the faith-based community and programs. This community rallies in response to a crisis whether ours, or others. Parents take responsibility for their children and are involved in their lives. Our community works together to help children learn to make good decisions. Residents genuinely care about the welfare of others. Coppell residents have convenient shopping in the city for daily necessities. Attractive, small commercial areas add value and blend with adjacent neighborhoods, while large community commercial centers are located at major intersections. A variety of restaurants are frequented by residents, employees of Coppell businesses and non-residents. Grocery stores, drug stores and other major retailers serve as anchors. Personal and professional services are available. Your are just minutes away from major league baseball, the Dallas Cowboys stadium, the Dallas Stars hockey team, and the Dallas Mavericks basketball arena. Coppell is attractive to residents, employers, retailers and distributors because of the great location. Efficient and effective local traffic flow within Coppell contributes to acceptable travel times. Streets are safe for vehicles, bikes and pedestrians. There are safe sidewalks along major corridors and within neighborhoods. Multi-use trails, bikeways and pathway systems connect the community neighborhoods and surrounding cities. Residents and businesses have easy vehicle access to the interstate highway system and DFW International Airport. 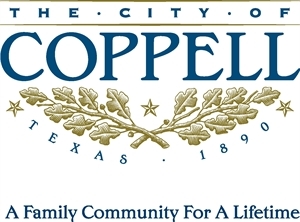 Coppell is a community of spiritual strength with respect for differing personal beliefs. The faith community works in cooperation with local organizations and governmental institutions. Our residents support the faith-based community and programs. This community rallies in response to a crisis whether ours, or others. Parents take responsibility for their children and are involved in their lives. Our community works together to help children learn to make good decisions. Our residents genuinely care about the welfare of others. Coppell residents have convenient shopping in the city for daily necessities. Attractive, small commercial areas add value and blend with adjacent neighborhoods, while large community commercial centers are located at major intersections. A variety of restaurants are frequented by residents, employees of Coppell businesses and non-residents. Grocery stores, drug stores and other major retailers serve as anchors. Your are just minutes away from major league baseball, the Dallas Cowboys stadium, the Dallas Stars hockey team, and the Dallas Mavericks basketball arena. The 66-acre Coppell Nature Park is a natural habitat for hawks, coyotes, bobcats, and other animals. More than 130 different species of birds migrate through the park each year and numerous types of native vegetation may be found within the park. Volunteer-built trails are suitable for easy hiking and offer views of the land once native to north central Texas. Theatre Coppell has entertained and inspired local residents with comedies, dramas and musicals for more than 25 years. Shows were presented at schools and other locations in the area until 1999, when the City of Coppell converted an unused fire station to the Coppell Center for the Arts. The theatre was established in the mid-1980s as Coppell Community Theatre by a core group of volunteers, most of which are still active in the theatre. All shows are performed in the “black box theatre” of the Center for the Arts. The theatre is an intimate, 124-seat theatre with seating on three sides of the stage. The William T. Cozby Public Library was established in 1974 as the Coppell Public Library in an old frame home located at 561 N. Coppell Road. The library was a volunteer effort opening its doors with 3,000 books. The library moved to the Coppell Town Center in 1986 and was renamed in honor of William T. Cozby, a past mayor and civic leader in Coppell. The doors opened at the present location on April 24, 1995 and a major renovation was completed in April 2005. Today, the collection contains more than 93,000 items including books, CDs, DVDs, electronic resources such as downloadable audiobooks and e-books, Internet workstations,? and public WiFi access. In addition to these items, the library subscribes to more than 170 periodicals and newspapers. Patrons may access the library catalog from home. Located in the center of the Dallas/Ft. Worth area, Coppell is conveniently located within minutes of major hospitals, wellness centers and more. Jan 34.0 F° 44.5 F° 55.0 F° 2.2 "
Feb 38.0 F° 48.5 F° 59.0 F° 2.9 "
Mar 45.0 F° 55.5 F° 66.0 F° 3.6 "
Apr 53.0 F° 64.0 F° 75.0 F° 3.2 "
May 63.0 F° 72.5 F° 82.0 F° 4.9 "
Jun 70.0 F° 80.0 F° 90.0 F° 3.9 "
Jul 74.0 F° 84.0 F° 94.0 F° 2.4 "
Aug 74.0 F° 84.5 F° 95.0 F° 1.8 "
Sep 66.0 F° 77.0 F° 88.0 F° 3.4 "
Oct 55.0 F° 66.5 F° 78.0 F° 4.0 "
Nov 45.0 F° 55.5 F° 66.0 F° 2.9 "
Dec 35.0 F° 45.5 F° 56.0 F° 2.7 "
Spring temperatures are cool with averages in the low 60's and highs in the mid 70's. Nights are cool with lows in the low 50's. Summer temperatures are warm with averages in the low 80's and highs in the low 90's. Nights are mild with lows in the low 70's. Fall temperatures are mild with averages in the mid 60's and highs in the upper 70's. Nights are cool with lows in the mid 50's. Winter temperatures are cold with averages in the mid 40's and highs in the mid 50's. Nights are cold with lows in the mid 30's. A variety of volunteer opportunities are available in Coppell and the North Texas area. North Texas social service organizations are always in need of volunteers. Whether it's assisting seniors, the mentally or physically challenged, or those in financial need, the community of Coppell is generous and committed to helping others. A prime example of the Coppell commitment to helping others is seen through the Coppell Community Garden. Volunteer gardeners use their gardening skills to raise fresh, nutritious produce year round to donate to the Metrocrest Social Services Food Pantry. In 2010, 14,432 pounds of fresh produce was donated to Metrocrest Social Services food pantry and over 6600 volunteer hours were documented to grow and harvest the produce. Gardeners learn about growing fruits and vegetables organically, cultivate their plots, and work together on community chores. You don't need to be an expert, just have an interest in organic vegetable gardening.